Gabriele “Gabe” Grunewald is a professional middle-distance runner and four-time rare cancer survivor from Minneapolis, MN. Gabe was first diagnosed with Adenoid Cystic Carcinoma when she was in college and undoubtedly in the best shape of her life. 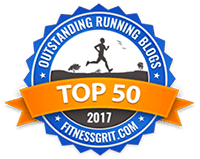 Instead of finishing her college running career on a high note — or, better yet, a podium — Gabe was faced with a difficult and scary diagnosis. She’s undergone several surgeries, including having more than half of her liver removed after the third time the cancer came back. But Gabe keeps fighting, smiling, and running. On this episode, she talks about the difference between fighting and giving up, and explains what it means to be “brave like Gabe.” She also talks about her current project: training Fixer Upper star Chip Gaines for his first marathon! This episode is brought to you by Strava, the leading social network for athletes. 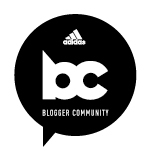 Click here to join today, then enter for your chance to win a 2018 TCS New York City Marathon entry and a $500 travel stipend! Brave Like Gabe Foundation: bravelikegabe.org — coming soon! 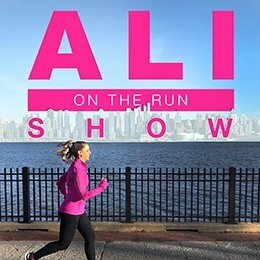 3 Responses to "Ali on the Run Show Episode 62: Gabe Grunewald, Professional Runner & 4-Time Cancer Survivor"
I already left my OFFICIAL podcast review but wanted to mention that even though I haven’t quite finished (saving the Sprint questions for my walk to the subway today 🙂 ) this was one of my favorite episodes so far. Thank you! This was an amazing interview. Thank you for bringing it to us. Wonderful inspirational interview! Thank you!